Start with clean and moisturized skin. The Everything Pencil™ may be all you need to cover up small imperfections. Choose the color closest to your skin tone-you may need a lighter and darker pencil to create a perfect match. Apply directly on problem areas, then pat and blend gently. Use August Minerals™ Finishing Powder: Translucent Formula over The Everything Pencil™ if you want a light and natural look. If you want more coverage, use Fabulous Finish™ 3-in-one foundation over The Everything Pencil™. Choose your color-no powder is necessary. 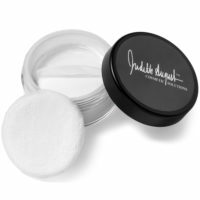 Apply in a downward motion with Judith August’s All-Over-Face Brush. Start with the color closest to your skin tone. Put a small amount on the back of your hand using the included spatula. 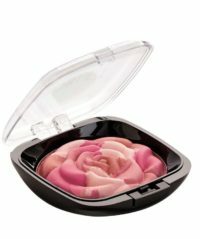 Warm product gently with your fingers as you apply the first color to the problem area. Layer a lighter or darker color if necessary-mixing it again on the back of your hand until you reach the correct color intensity. Ideally, cover up only the areas that need covering-blend into surrounding areas of your face so that there is no line of demarcation. Use a press and pat motion. Note: Killer Cover™ is heavier coverage. You may only want it on the affected areas. To even out the skin tone, use Fabulous Finish™ 3-in-one foundation over the Killer Cover™ and the rest of your face to achieve a flawless finish without a heavily made-up look. 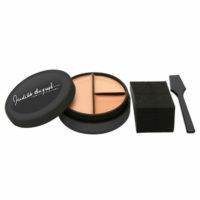 Best applied with Judith August’s All-Over-Face Brush. 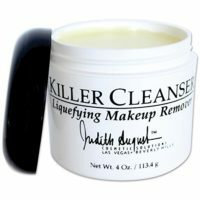 Remove with Judith August Killer Cleanser™. For varicose veins and dark discolorations, use Killer Cover™. Start with the color closest to your skin tone-remove product with the enclosed spatula and apply to area on your leg. Warm the product with your fingers for easier spreading. Layer colors if necessary. Remember, blue and black veins and bruises are best covered starting with a darker color, then lightening as you blend. If you start with a color too light, your leg will appear chalky. Blend into the surrounding areas of the leg so there is no line of demarcation. Apply Invisible Stockings™ all over for a stocking-clad look with my custom Leg Paint Brush for easy application and spread ability. Choose products from our collection that best serve your particular needs.